JOIN US FOR THE 2018 HOLIDAY MARKET! ​All vending spots are now filled. 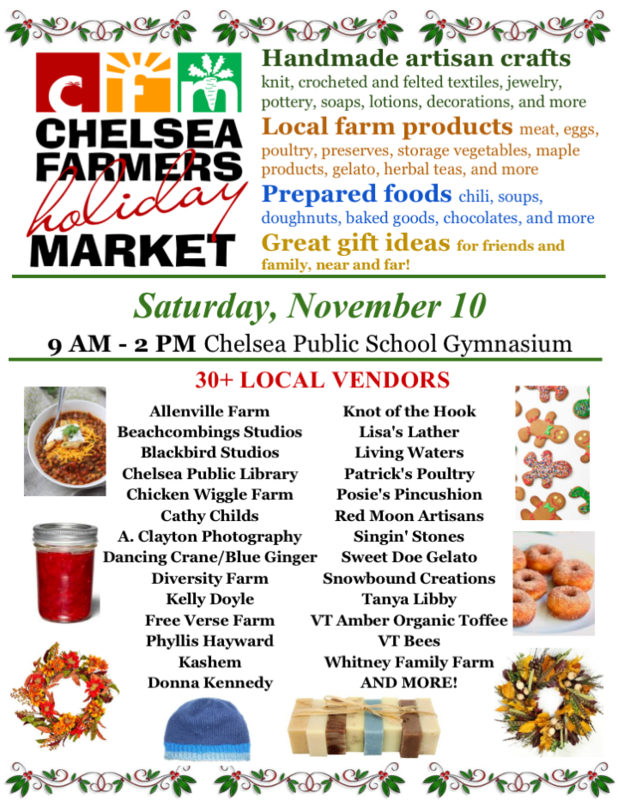 If you're interested in vending at this very popular Chelsea event please sign up for our newsletter and keep an eye open for the 2019 Holiday Market next fall. The deadline for applications is October 16 2019. To stay in touch with Chelsea Farmers Market and keep up with events as they are announced please subscribe to our newsletter.